Producing great quality music often means producing music full of dynamics. So in order to get the dynamics of each song just right, having high quality playback devices is a must. That’s where studio monitors come in. A good studio monitor needs to be sensitive enough to express all frequency ranges from highs, mids, to lows but be rugged enough to let you feel every ounce of that bass. So in order to ensure that your home studio has what it takes to help you produce those hits, I have selected three studio monitors that are sure to give you a run for your money. These guys are studio quality sound made affordable. The Mackie Studio CR3s pump out 50W of pure undistorted stereo sound from two 3" woofers and two ferrofluid-cooled 0.75" silk tweeters, and they have a wide frequency response range of 80Hz–20KHz. · Delivers studio quality sound performance with a wide frequency range between 80 Hz to 20 kHz. · Great for vocal and instrumental performances with clear stereo separation and crystal clear details. 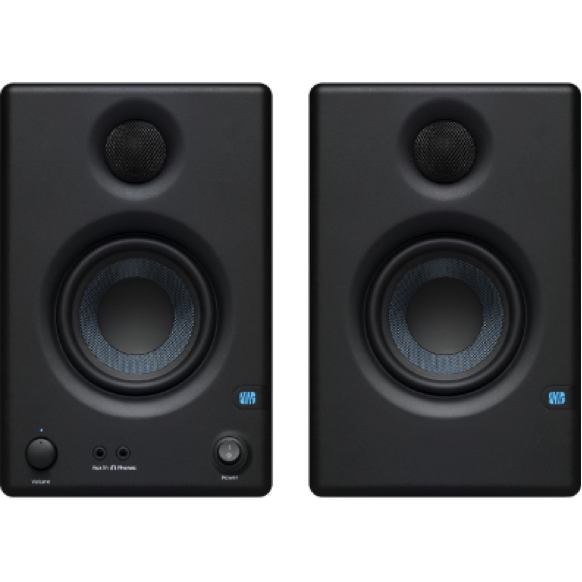 · While the Mackie CR3s provides clear and clean studio sound performance, the bass is slightly weaker compared to some of the higher priced monitors. When it comes to performance the PreSonus Eris E3.5s are definitely a viable contender. These bad boys come with 50W class AB amplification and a 3.5 Kevlar woofer to generating a quality low-end with minimal bass distortion. Now when it comes to studio monitors that pack punch the Tascam VL-S3 studio monitors are definitely where it’s at. With its 3” woofer, rear ported design and a 1/8” stereo mini jack that allows playback from your smartphones or MP3 player, $99 seems unreal. · None that I could find, quality monitors.